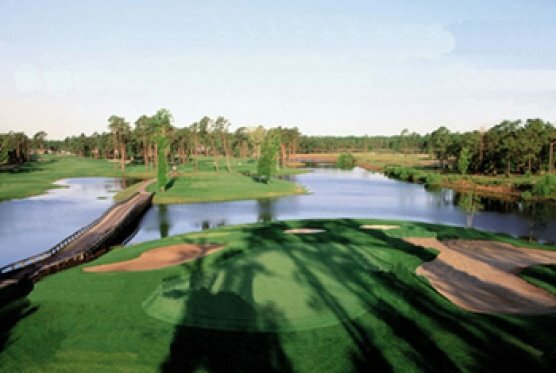 MYRTLE BEACH, SC – Although it’s the lesser-known Arnold Palmer Signature Course at Myrtle Beach National, SouthCreek is a favorite of members, locals and visiting golfers. The Blue Tees measure 6416 yards with a 71.0/128 rating/slope. The White Tees are a modest 6089 yards at 69.4/124. The Men’s Gold Tees are 5711 yards, 67.7/116 and the Ladies Gold Tees are 73.5/131. The Ladies Red Tees are 4723 yards at 68.0/117. Although not a particularly long layout, this course is deceptive. SouthCreek has two very distinct features each giving you an opportunity for score improvement, if you take advantage of them. Of the fourteen Par 4s and Par 5s more than half have significant doglegs. On those eight holes, if you are on the wrong side of the turn you can count on adding ten or more yards to the hole. A case in point is Hole 1. A good starting hole at 421-yards dogleg left from the Blues, a 250-yard drive that leaks to the right edge can present a 191-yard approach shot. Mark it as a fairway hit, but you probably made this a 3-shot hole. Hole 7 at only 335-yards is a very interesting extreme dogleg right challenge. A 250-yard drive should put you in perfect position, if you managed to stay in the narrow fairway. Going right is jail, while going left is severe detention. On the back nine it’s the two Par 5s that can add yardage and punishment for errant shots. Hole 10 is a three shot Par 5 for the average golfer. A low handicap player with a well-placed drive up the right side may test cutting the corner over the water to a tiered green. For the rest of us a solid drive and a solid fairway wood should leave us within 125-yards. Hole 16 requires accuracy from tee to green. From the tee box to far right adds yardage and a difficult 2ndshot with traps in play. To far left and you’ll find a fairway trap, out of bounds and water coming into play on your 2ndshot. With a properly placed 2ndshot you’re left with a very manageable downhill approach. The second distinct feature of SouthCreek that provides opportunities to score is proper club selection. We club up when hitting an approach shot to an obviously elevated green. Hole 17 with its railroad tiered bunker protecting the front reminds the focused player to go to the bag for something he’ll hit 150-155 yards. Numerous holes at SouthCreek have hardly noticeable, very small ravens in front of the greens. They have the same effect as an elevated green, but are less obvious. On the front 9 Hole 8 is a great example of the need to select the correct club when the elevated green isn’t obvious. Make sure you have enough club to carry all 202-yards. With no run out coming-up short, leaves you short. From tee to green SouthCreek was in great shape in late February. I’ve been fortunate to have played this course more than a dozen times and have always found it to be in good condition. Although there is more housing lining its fairways than the other two Myrtle Beach National layouts, the course is visually very appealing. This is a mature course with tall pines and some hardwoods buffering the backyards. The greens at SouthCreek are generous. A few are tiered, most noticeably Hole 2 and all have slope. You’ll seldom find a straight putt, but speed is still most critical. 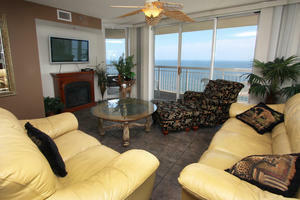 SouthCreek is one of the very best values in the Myrtle Beach area golf market. It’s reasonably priced, handsome and challenging. Enjoy this one, I always do.